The Most Flexible Structured Data Plugin for WordPress. Create more visibility in search results. Profit from better technical SEO. This is what we want: more visibility in search results, right? An how can we do that? Of course by making the search results more pretty! Is is done by using Structured Data (examples below). If you’re totally new to Structured Data, please take the training. It’s totally free of charge and made with a lot of ❤️ for you! Since version 2.0 no coding is needed. No single line. Just the basic knowledge of the schema syntax (that comes from schema.org). Don’t know how what I’m talking about? I got you covered! Take my free video course now. To get better rankings on search engines (Structured Data is part of technical search engine optimization). To make your search results more pretty. Of course, structured data is making your search results more pretty! But this isn’t the only use case. Structured data on your website is a raking factor nowadays! Webmaster Tools shows up structured data in its Search Console: website. What can the plugin do for me? A few years ago you would have needed at least a deep understanding of schema.org and how to add microdata to your HTML markup. Wow, that was a hard time! Now you can point-an-click your own snippets. You don’t need any coding skills. You don’t need to integrate anything with your theme. It just works. Use the Rich Snippets WordPress Plugin today and you don’t need a single line of code! Just the basic knowledge of the schema syntax. Don’t know how this works? I got you covered! Watch this video now. Start today, get it now! What makes this plugin so special? Global Snippets functionality: Create one snippet and populate them automatically to your posts, pages or custom post types. Overridable properties: Want to overwrite properties from a global snippet on a per-post-basis? Yeah, it just works! Supports the full schema.org syntax. That means: you can not only build Products, Events, Recipes, etc. but everything you can imagine! Supports all extensions: auto, bib, health, iot, meta and even the pending ones. So you can also integrate things like AudioBook, Newspaper and a lot more. Don’t know how to start? I even have a free structured data course. Look no further. Get it now! My name is Florian but you can call me “Flo” (because “Flo” is easier for non-english-speaking guys ). I’m the developer behind the Structured Data WordPress Plugin and I’m maintaining it since 2011! Yes, I started working with structured data and Rich Snippets when they weren’t this popular. But I believed it will be a huge thing in the future and and that’s how it happened. If you’re curious about Structured Data and Rich Snippets as well, you’ve definitely found your best buddy. 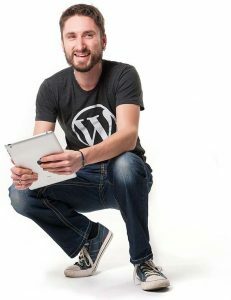 I’m super informed regarding this topic and happy to help you out with your snippet integration in WordPress. Hopefully you can feel my passion in the all new Rich Snippets Plugin which got a major overhaul in 2018. And – as you might guessed – I’m still working on it every day. I’m sure, this plugin will skyrocket structured data on your site, too! If you have any questions and/or ideas to make this plugin even better, feel free to contact me, write a feature request on the support page or just get started! I completed the Structured Data course! This is the first schema plugin that allows absolute control on a post-by-post basis. Support is excellent, and Florian is always open to new ideas to implement to make the plugin even better. Definitely worth every penny and then some. Flo is just plain out awesome 🙂 Even when bouncing ideas around with him you can see that he never loses focus. Fantastic support from Florian. Asked a question on a Saturday and got a reply (and a link to the fix) almost immediately. Hands down the best plugin to add structured data to any WordPress site. I’ve tried no end of schema plugins and they are all problematic one way or another. But this one is perfect. It’s easy to setup and use and has incredible flexibility allowing for perfect schema markup on an individual page/post/product basis. Love it! The best rich snippet plugin I’ve found so far. Once set up, it saves tons of work through yoast seo support. Awesome plugin – does exactly what it says and sets up great Schema code. (…) Also major kudos to the developer! I found a small bug and not only was he incredibly responsive, but he fixed it and pushed a new version in a matter of days! Lightning fast support, as flexible as writing the ld+json manually, easy to use, and great options to automatically output the ld+json. Can’t I just use a free plugin for that? are happy with just making “normal” snippets like recipes, etc. don’t want to create any special snippets like NewsArticles, HowTos, Movies, WebPages, Events, Services, Q&A-Pages, etc. are happy how other plugins and themes are layouting stuff in the frontend. To sum it up: if you want the total freedom: use SNIP, the number one Rich Snippets and Structured Plugin for WordPress. Pro-Users need Pro-Products! Get it now! activate the predefined snippets. Done. If you want to dig deeper, take the free Structured Data course that I’ve prepared. Then build your own snippets the way you like it. Join the family. Get it today!